Goodreads says, "Olivia Mead is a headstrong, independent girl—a suffragist—in an age that prefers its girls to be docile. It’s 1900 in Oregon, and Olivia’s father, concerned that she’s headed for trouble, convinces a stage mesmerist to try to hypnotize the rebellion out of her. But the hypnotist, an intriguing young man named Henri Reverie, gives her a terrible gift instead: she’s able to see people’s true natures, manifesting as visions of darkness and goodness, while also unable to speak her true thoughts out loud. These supernatural challenges only make Olivia more determined to speak her mind, and so she’s drawn into a dangerous relationship with the hypnotist and his mysterious motives, all while secretly fighting for the rights of women. Winters breathes new life into history once again with an atmospheric, vividly real story, including archival photos and art from the period throughout." Olivia Mead wants more for her life than to just marry, host parties, and look pretty, except she is living in the early 1900s in Oregon, where the general population is looking down upon female independence. Olivia is caught attending a suffragist rally, which sends her conservative father into a tail spin. Instead of talking with her about it, he decides to hire a famous hypnotist, Henri Reverie, to hypnotize her into being a docile woman content with her place in society. During the hypnotism, he asks Henri to make it difficult for Olivia to talk about controversial issues and Henri also adds to the hypnotism that she'll be able to see people's true natures, which in turn, isn't something Olivia has bargained for. Now she is able to see people for who they really are, which at times can be an extremely scary sight. On top of this new complication, she is starting to have feelings for the charming hypnotist, Henri, despite her father's wishes that she aim higher. The Cure for Dreaming by Cat Winters is a spell-binding historical read that blends supernatural elements perfectly. Not only did I find the historical details intriguing, the plot kept me turning the pages late into the night. Olivia first encounters Henri at a theatrical performance where he hypnotizes her in front of the whole audience in The Cure for Dreaming. Their relationship doesn't stop there. As I mentioned, Olivia's father hires Henri to hypnotize her into being a "proper" woman and less interested in things like the suffrage moment. Their relationship starts out as a friendship, but then slowly becomes more, especially when she finds out a little bit more about the real Henri. So, I am dying to talk about Olivia's father in The Cure for Dreaming. Wow! I don't think I have actually hated a character in quite sometime and Winters did such a great job making him a dark and corrupt character. My skin crawls just thinking about him and his motives were just as dark. I couldn't wait for Olivia to get away from him. He takes things too far and don't even get me started on his dental office….it's the stuff of nightmares! Winters also does a fabulous job bringing the early 1900s to life in The Cure for Dreaming. I can't say I have read that many books set during this time period, so I found it all very fascinating. Plus, Winters incorporates many period photos as well as quotes from the time period, which only adds to the creepy atmosphere of the story and brings to life the time period even further. 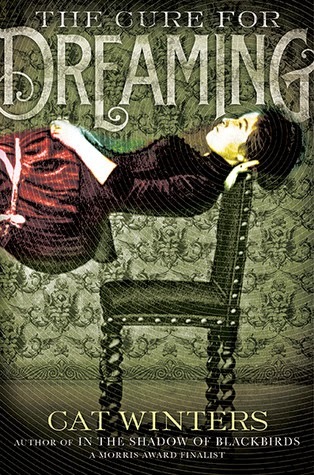 Even though The Cure for Dreaming is important in the fact that it deals with the women's suffrage movement, it also has some creepy supernatural aspects to it, which make it the perfect read for this time of year. If you like your historical fiction to be absorbing with a touch of paranormal, then I highly recommend The Cure for Dreaming. I know I will be checking out Winters' other novels as soon as possible. "He takes things too far and don't even get me started on his dental office….it's the stuff of nightmares!" Seeing as I have to go to the dentist this week, I'm going to pass on this book until well after that appointment:) I can' t wait to read it though, I love to hate truly despicable characters, so I know I'm going to enjoy how much Olivia's father gets under my skin and makes me want to violence ;-) So glad you loved this Christina! Haha. You always make me laugh, Jenny. He was such a fun character to hate. I hope you get to read this book soon….I think you'd enjoy it! Thanks for visiting, Jenny! I'm really looking forward to this one---history mixed with a little supernatural and romance and... women's suffrage! What's not to love?!? I know, right?! I thought this book was filled with a lot of substance too….maybe me appreciate the woman's suffrage movement so much more than I originally did! Thanks for visiting. I adored this book too. Well I adore anything that Winter's writes! In the Shadow of Blackbirds was one of my favorites of last year as well. I will have to check out Shadow of Blackbirds…I'm sure I'll love it. 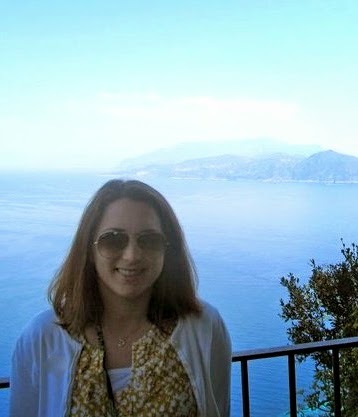 Thanks for visiting, Christianna! This book just sounds better and better with every review I read. I can't wait to read my copy! Thank you! I think you'll like it and won't be disappointed. Thanks for dropping by! Sounds really good! I love historical fiction and even though it has a little paranormal element that won't bother me at all. I need to add it to my TBR list. Thanks for your review! I think you would like this book, Christina! It's so intriguing from a historical fiction perspective. Thanks for visiting! This one is getting ALL the great reviews! 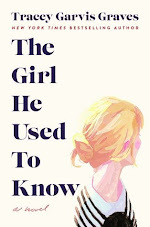 I need to read it soon. Seriously behind on my Halloween reading now due to that terrible migraine! I think you'll really like this book, Leanna! You should definitely get your hands on a copy. I hope you are feeling better though….migraines are the WORST. Thanks for dropping by!